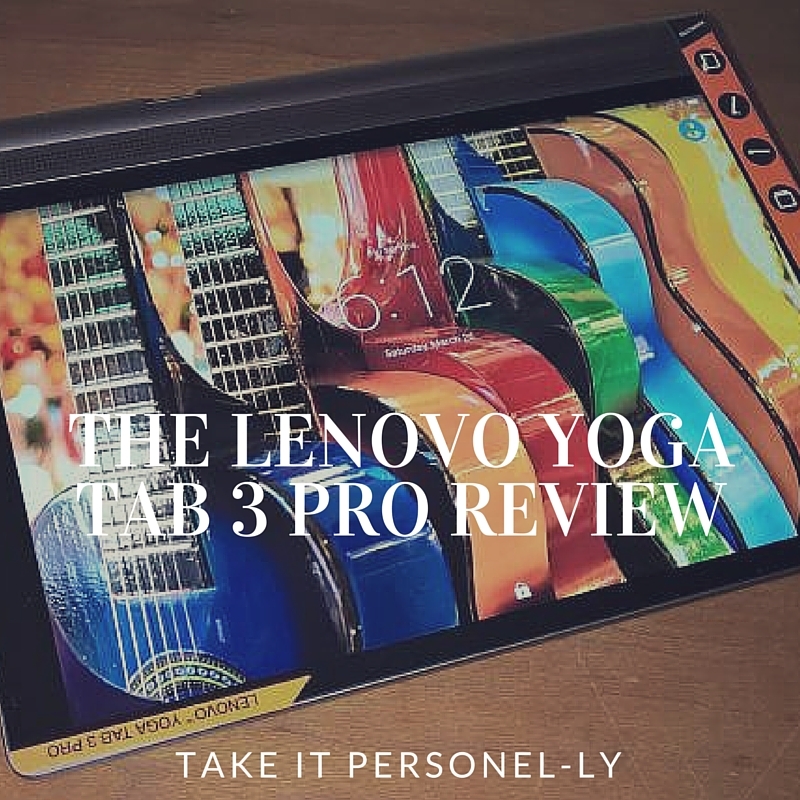 If you are looking for a great all around tablet for home and work, but that also rocks your entertainment needs, then you should consider the Lenovo Yoga Tab 3 Pro. 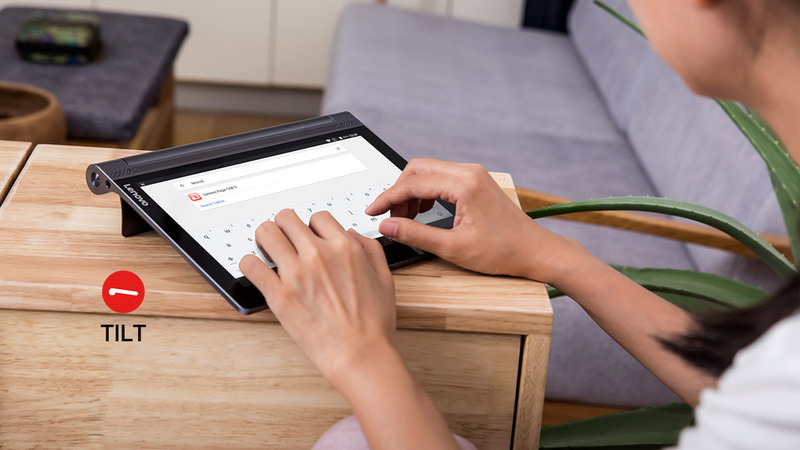 This tablet is perfect for binge watching Netflix and for keeping everyone entertained while on vacation or while gathered with family and friends. Yet it is also an ideal tablet for working on the go. The Lenovo Yoga Tab 3 Pro has a premium feel and build to it. Its overall construction of metal and aluminum feels very solid, and the faux-leather back is stylish and comfortable to hold. The Yoga Tab 3 Pro is also splash proof with an IP certification of 21. That means that you can use it in the kitchen while cooking or next to a sink and you don’t need to worry about it getting accidentally splashed. 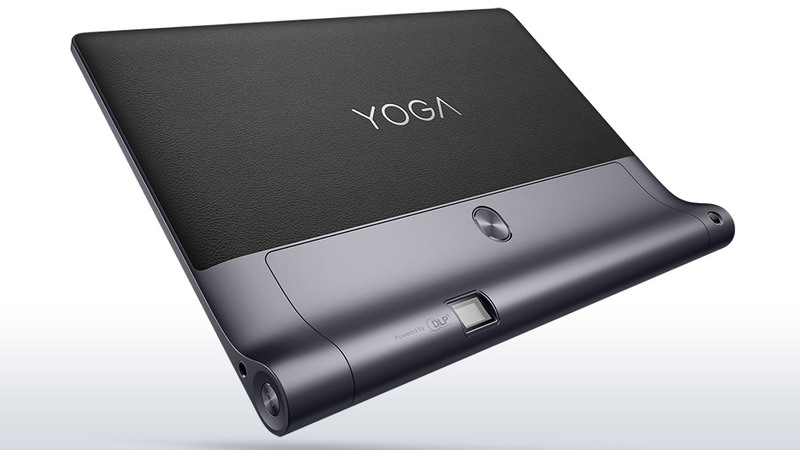 The Yoga Tab 3 Pro has a cylindrical spine along the bottom which houses the battery and projector. The cylindrical spine is a natural place to hold the tablet without blocking any of the screen. It has a large 10.1″ screen and weighs 1.47 pds. The weight is mostly due to high-capacity battery, kickstand and projector that is housed in the spine. But it is not uncomfortably heavy to hold in one hand. 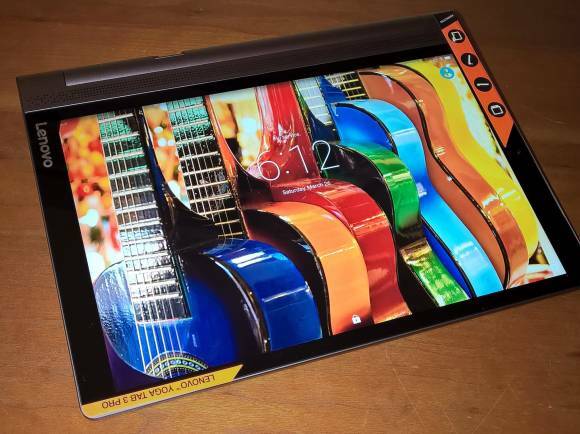 The Lenovo Yoga Tab 3 Pro’s screen has a 2,560 x 1,600 pixel resolution which is great for a tablet. This works out to be 299 pixels per inch (ppi), making the Yoga Tab 3 Pro’s screen sharp and the colors are bright. This tablet is a fantastic choice for watching movies and TV shows. On the top of the tablet, you’ll find a micro-USB port, and on the bottom, there’s a headphone jack. Under the hinge, there’s a place to put a microSD card to expand the internal storage of 32 GB. Across the tablet’s bottom edge are four front-facing JBL speakers with built-in is Dolby Atmos technology which provides loud, clear, and dynamic audio – even without headphones on. You can use the pre-loaded Dolby App on the tablet, which helps beef up the audio for a more immersive experience. You can simply chose among the pre-set options available and it will punch up vocals in music, sound effects in games and background noises in movies. This is particularly helpful when using the projector on a wall. 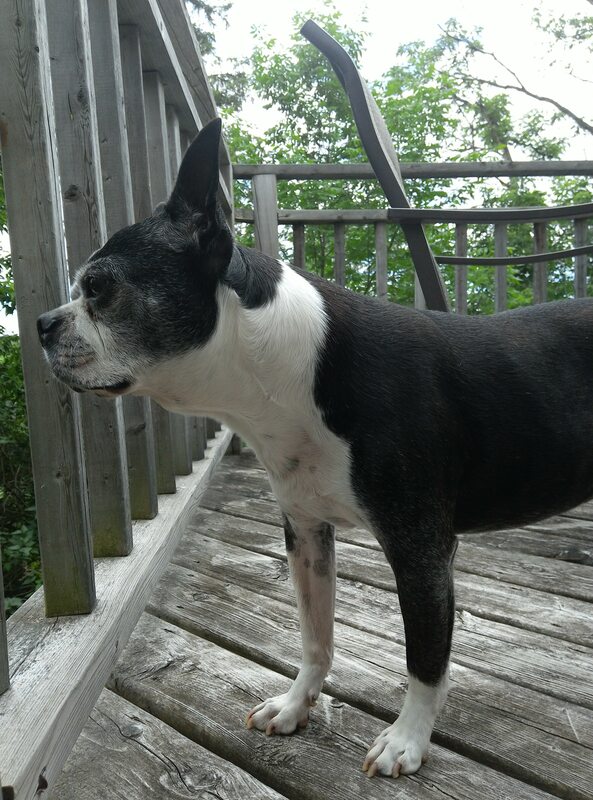 It provides an added theater-like quality to the whole experience. The Lenovo Yoga Tab 3 Pro is powered by an Intel® Atom™ x 5-Z8500 Processor (2M Cache, Quad Core™, Up to 2.24 GHz). There’s also 2GB of RAM, 32GB of internal storage (expandable by up to 128GB with a microSD card). 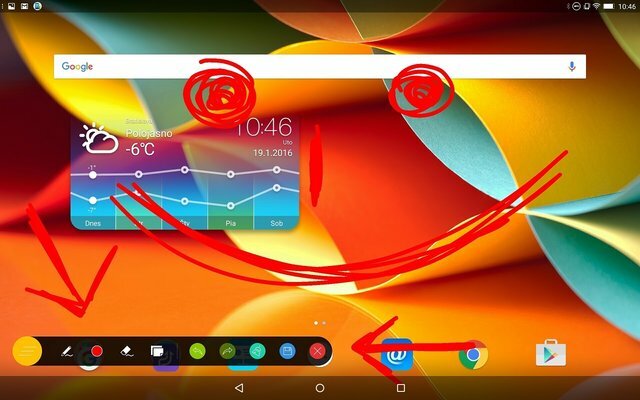 It is Android based and the one that I tested was running Android OS 5.1 Lollipop. 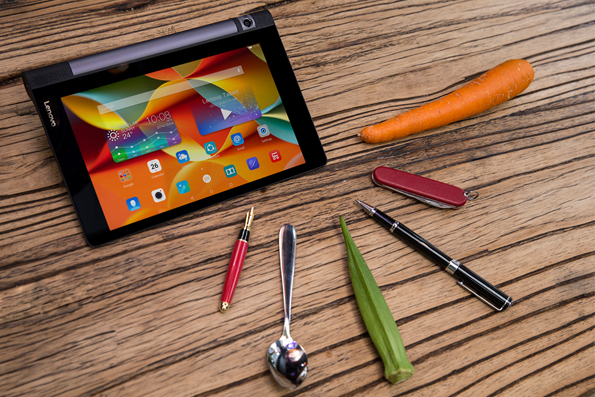 The Yoga Tab 3 Pro has Bluetooth 4.0, Wi-Fi, and GPS connectivity. Included in the box is a USB cable and a 24W charger, which charges the tablet fairly quickly despite the large batteries. The Yoga Tab 3 Pro has a rear 13 MP Auto Focus camera and a front 5 MP Fixed Focus camera. 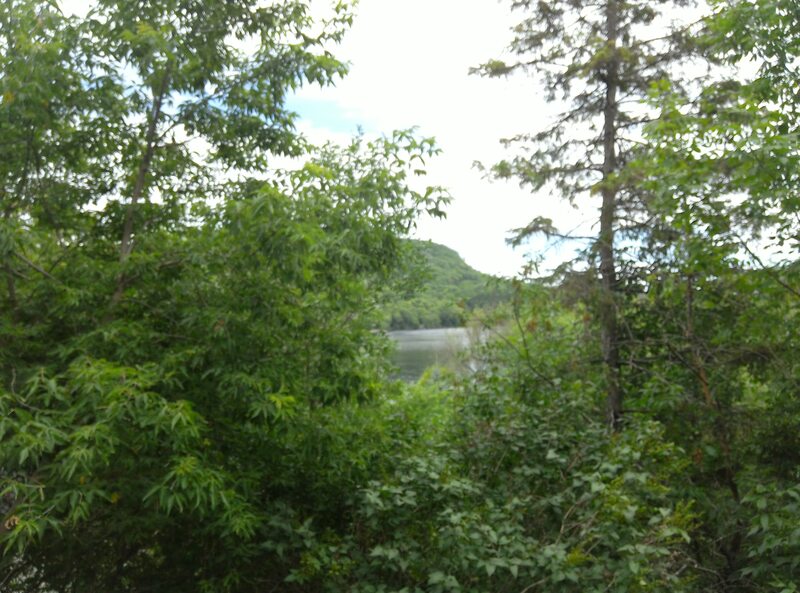 The following two pictures were taken outdoors with the Yoga Tab 3 Pro. They have not been edited, nor have any filters been applied. Performance-wise, the tablet is consistently fast when surfing the Web, streaming video and playing games. It slowed down a bit if apps were downloading or updating in the background but this is typical for most tablets. Lenovo provides its own built in software which I found very helpful for working on the go. 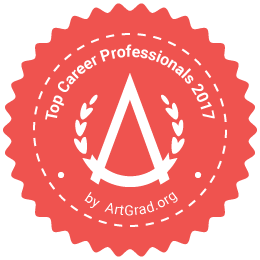 My favorite is called Sketchpad which lets you draw on any Web page, or app, or even a PowerPoint presentation. I find it very useful when presenting as you can highlight, circle and draw attention to specific facts and ideas. The other two that included on the Yoga Tab 3 Pro are called SHAREit and SYNCit which help you move files and settings between devices over Wi-Fi. The Yoga Tab 3 Pro has two batteries: a larger 6200mAh unit and a smaller 4000mAh one, totalling a massive 10,200mAh of battery capacity. Battery life on this tablet is one of the best that I have used. It easily lasted 10 hours while playing movies and TV shows non stop through Wi-Fi when I tested it out. According to Lenovo’s website it will last up to 18. In fact the battery is so powerful, it also comes with a USB ‘On the Go’ powerbank, allowing you to charge all your other devices. 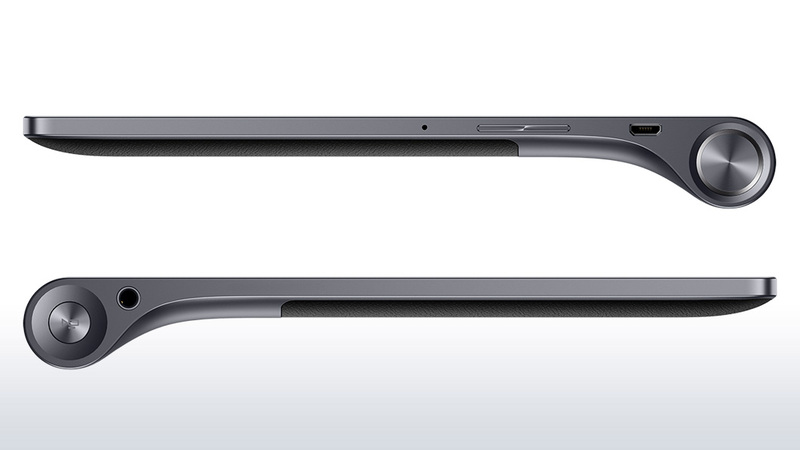 An innovative feature of the Yoga Tab 3 Pro is the built in kickstand. 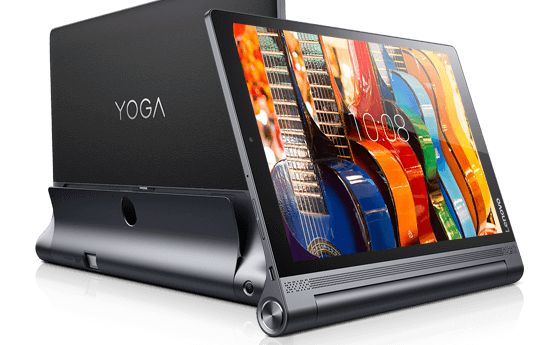 To use the kickstand, you press the release button located on the back and hinge pops out and lets you stand the Yoga Tab 3 Pro up. You can stand it at an angle when it is flat on a desk, prop the tablet up in landscape mode or hang it from the wall by putting a nail or hook through the buttonhole. 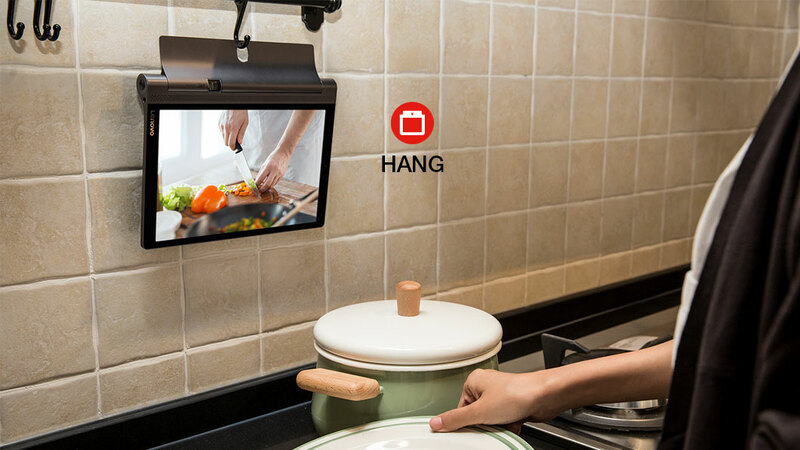 The hanging feature is great in the kitchen if you are following a recipe but don’t want to use up valuable counter space. I used a twist tie to attach the Yoga Tab 3 Pro to the door handle of one of my kitchen cabinets to keep it out of the way. Lenovo’s AnyPen technology detects any conductive object as a pen when it is turned on. It’s very useful when you’re using your tablet to take notes in meetings or over the phone, for sketching, and for keeping your dirty hands away from the screen while cooking. The built in pico projector is the ‘cherry on top’ for choosing this tablet over others on the market. If you are with the family and want to watch a movie, or in a business meeting and want to make a presentation, the Yoga Tab 3 Pro makes it simple with a built-in 50 lumen DLP projector on the rotating hinge. The Yoga Tab 3 Pro can project an image up to 70 inches and in my tests this was accurate but the image looked the best around 25-30 inches. The room does need to be fairly dark but it is a fantastic feature. It works on walls, ceilings and I even tested it outside on the side of the house. For family use, it is perfect for family vacations, camping and BBQs. 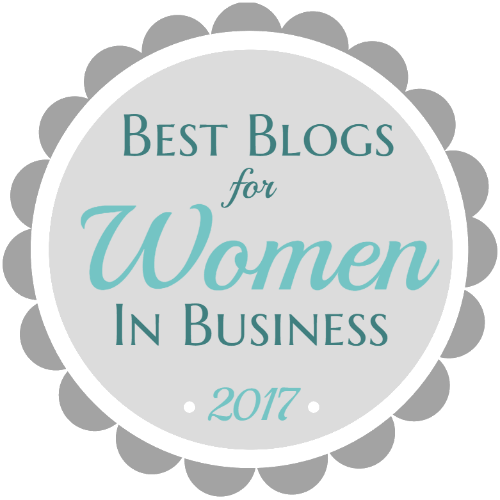 From a business perspective it can be used to project any type of business presentation, anywhere, without the struggle of having to connect and use a projector. 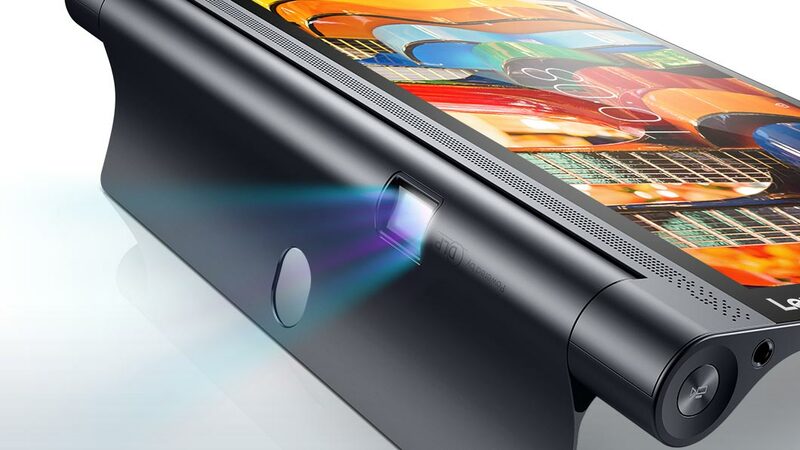 The Yoga Tab 3 Pro is the only tablet to offer a built in projector and it is genius!! Using the projector is easy, and can be done either using the dedicated projector button, the quick settings toggle in the notifications area, or through the projector app. 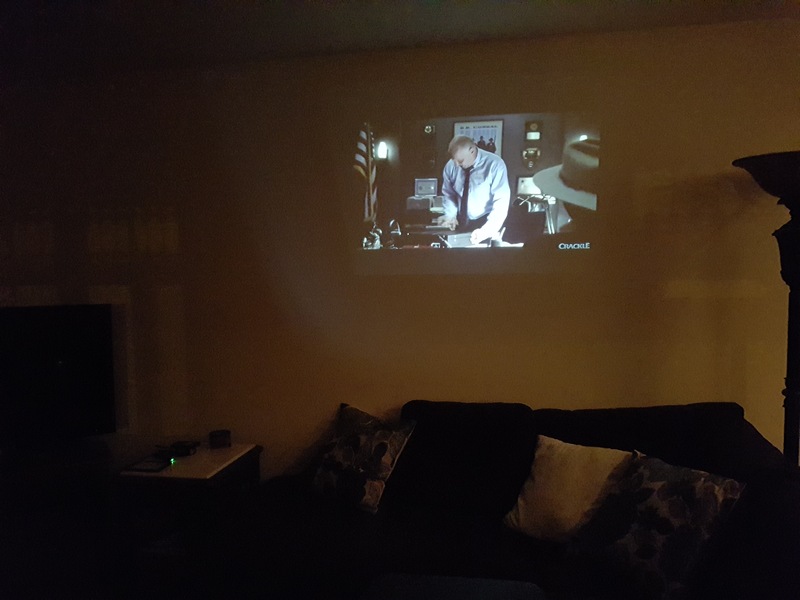 Projection size can only be adjusted by physically moving the tablet towards or away from the screen or wall you’re using. 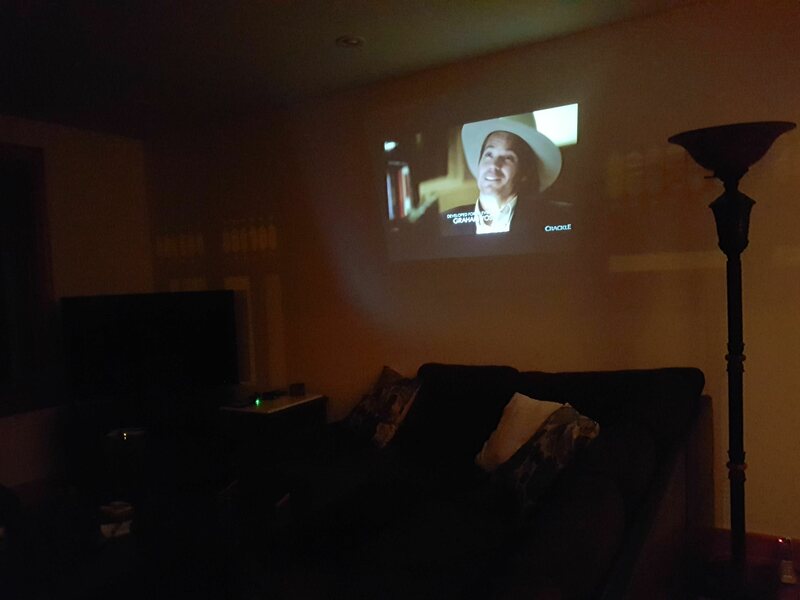 The brightness and keystone correction can be controlled, as well as the focus through built in software located on-screen while using the projector. 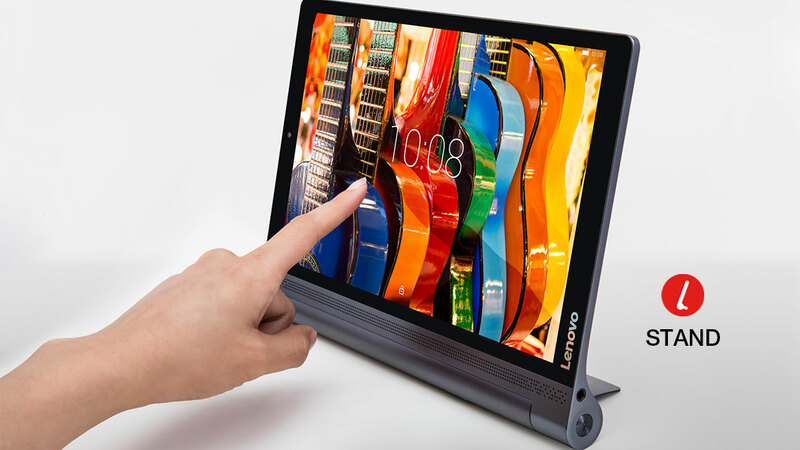 The Lenovo Yoga Tab 3 Pro‘s long lasting battery life, built in kickstand and projector, vivid and bright display, excellent sound quality make this one of the best tablets for combined home and business use. This tablet is one of my favorite tablets overall and I would not hesitate recommending it to anyone! 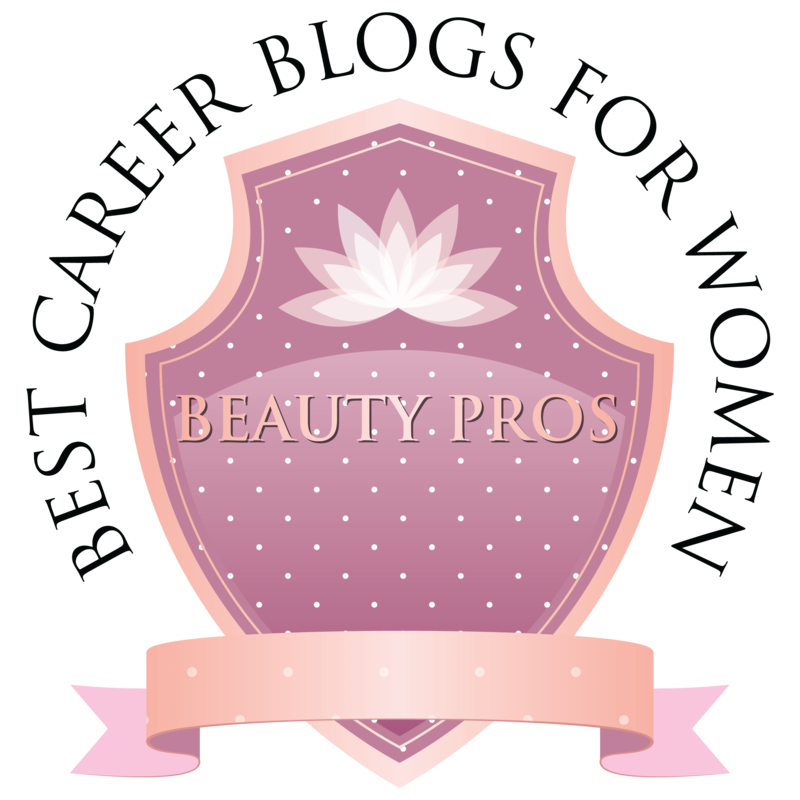 I think that it is reasonably priced for all of the features that it offers as well. If you are in the market for a new tablet definitely check out the Yoga Tab 3 Pro! Disclosure: Lenovo products mentioned in this post were supplied on loan by Lenovo US.